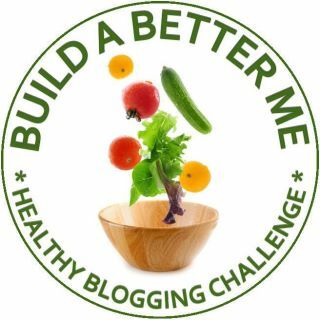 The Virtual Potluck bloggers have a new mission for 2012, and that's some self-improvement. Building a better self. But, of course, we're a potluck, so our goals are all different. For my part, my goal is "more." You see, I revamped my eating habits quite some time ago and got rid of most processed foods. I increased my purchases of farmer's market produce, and when the farmer's market is closed, I shop a bit more carefully in the produce section at the grocery, paying attention to things like country of origin. And of course my Whole Foods Friday posts have allowed me to shop for some pretty great food there. Meanwhile, my mantra has been moderation in all things - including moderation - and that's been good for me. I occasionally overindulge, but that's moderated by salad days. But ... but ... Okay, I'll admit it - I've been kind of slacking these days. Paying less attention to eating right. Less time exercising. So, it's time to get back on the bandwagon. Healthier eating and more movement. But here's the deal. Virtual Potluck isn't making New Year's resolutions that we're going to drop after a month or two. We're in this for the long haul. Build a Better Me is going to be a year-long project. Twelve months of better eating, better habits, better recipes, and better food. All in moderation, of course. Cookies and cakes and pies aren't going away. Dessert, in moderation, can be part of a healthy lifestyle. So don't worry about Cookistry becoming 365 days of kale. 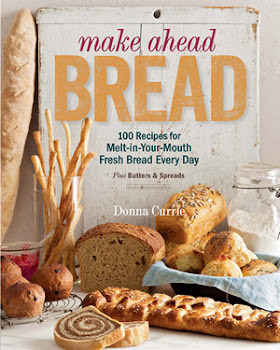 For January, I'm not making any big changes, but since Virtual Potluck had already committed to a 4-week project with Bob's Red Mill and California Olive Ranch, I'll be eating more whole grains than usual this month. For the rest of the year, I'm planning on making small commitments rather than big changes. Because those are easier to stick to. I haven't decided yet what sort of changes I'll be making as the year progresses, but I'm sure I'll keep you posted. So, what sort of healthy eating are you interested in? Less sugar? More fiber? Less fat? Smaller portions? Fewer calories? All of the above? None of the above? What are your goals for the year? Your resolutions? Tell me about it! I'm listening.